Tonight I cooked dinner for 2 out of the 3 ladies I went to Mexico with. I know its only Monday, but it was a lonnnnng Monday, so I decided margaritas would be a good idea – just call it practice for Cinco de Mayo! I accompanied these margaritas (made with tequila purchased at Cancun airport’s duty-free) with some gluten-free chicken enchiladas as my friend Miss A is trying to avoid wheat. After a bit of research, I found a great recipe by the Gluten Free Goddess. The Sour Cream Chicken Enchiladas were spicy, cheesy, and unctuous! Everything I want my Mexican food to be. I thoroughly recommend the recipe, and you could easily replace the corn tortillas with wheat ones if you aren’t looking to be gluten-free. I paired the enchiladas with a spinach and avocado salad dressed in balsamic vinegar, olive oil, wholegrain mustard and honey. We washed down the meal with my signature margaritas. The only way the evening could have been better, is if we were sat on the beach under the stars, hair being tousled by a warm breeze, listening to the waves crash on the beach. Sigh…. Almost like they make them at Tommy’s Tequila bar! Shake with ice then pour into a tumbler or mason jar. DRINK. 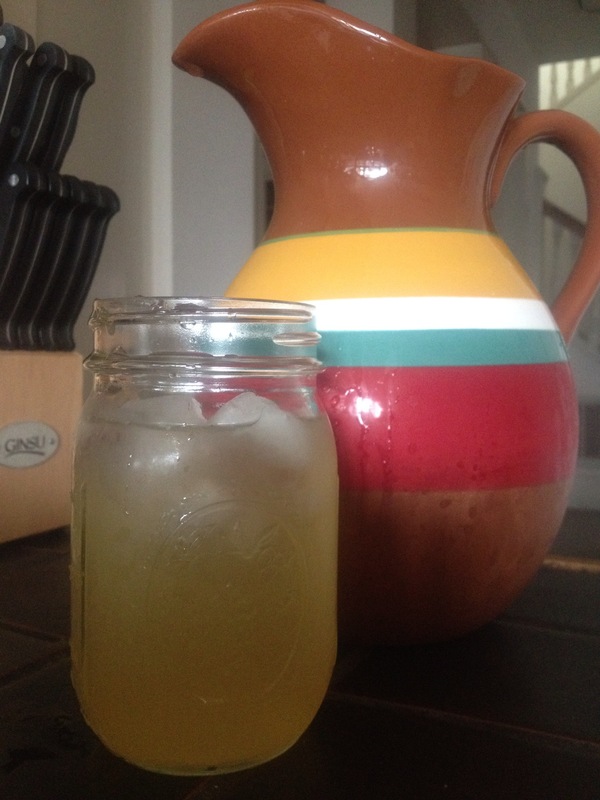 My margarita’s were a little more yellow than normal, but I think that is down to the reposado tequila that I used. I like my margaritas to be almost see through in colour – and NO sweet and sour mix in site! Tonight, I quadrupled the recipe so that there was enough for 1 and a half margaritas each… that’s reasonable for a Monday night, right?! Mmm… that recipe would leave leave this lightweight very tipsy! But as margaritas are my favorite, I think I’m going to need to venture outside my typical bottle o’ jose cuervos and drink mixture and make this far more authentic version.